Thank you to the parish for your contributions to the Faith Formation Food Drive to benefit Backpack Pantry. 48 families with students at Chautauqua Elementary School will be able to feed their families sufficiently because of your generosity. Faith Formation students are invited to come help the Backpack Pantry volunteers prepare the bags for the weekly drop off. This will be on Wed., Feb. 20th, at 2PM. 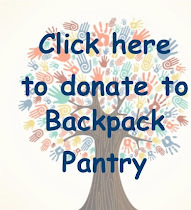 No school that day, so please give an hour of your time and your fast packing skills to help Backpack Pantry. All 2018 SJV Tax Statements have been sent out, via email or mail. If you have not received your letter, please contact the office. Before you call, if you expect an emailed version, please check your Junk folder as it might be there. Thank you. This weekend after all Masses a St. Vincent de Paul volunteer will be collecting donations. Please give generously in support of those in need on our island. de emergencia con el alquiler, la comida o las utilidades? Llame al 206.450.7577 para arreglar una visita al hogar. Is Your Marriage Falling Apart? Read This! WOULD YOU LIKE TO BECOME AN ALTAR SERVER? Have you ever thought about what it’s like to help at Mass by serving at the Altar? Fr. David is inviting all parishioners (who are 8+ and have received their First Communion) to share their faith and the gift of their participation at Mass by becoming an Altar Server at SJV. Serving at Mass is an honor and a privilege. It cultivates reverence and respect for the Eucharist, and a greater love of the Mass. It is also a very practical ministry that many more of us can do--both men and women… both younger and older! Men, if you were Altar Servers in your youth, would you like to serve again? And to our female parishioners, here is the opportunity you did not have as a child. An Altar Server has an essential role in the celebration of the Mass and the sacraments. You help everyone present to pray well, and you are able to be close to Jesus in the sacred mysteries, rituals, and actions we celebrate. In the next few weeks we will be offering Altar Server Training sessions for new Altar Servers. Please seriously consider attending one of the upcoming sessions that Ellen Stewart, our Parish Sacristan, will lead. The Adult Gospel Study Class and Youth Faith Formation are both meeting this weekend. Next weekend there will be no class due to the Presidents’ Day Three-Day Weekend. Our annual Children’s Liturgy is this Sunday at 10:30. The catechists are hoping many parishioners will be attending this Mass to join with our Faith Formation students as they lead us in prayer and in song. St. John Vianney Women’s Group meets the 2nd and 4th Mondays at 10:30 am. Our next meeting is February 11 at Mary Ann Beardsley’s Big Barn. Please call Mary Ann at (206) 567-4273 or Kris Cushing at (206) 962-0691 for more information. PLEASE JOIN FR. DAVID IN RECOGNIZING THE MANY SIGNIFICANT WEDDING ANNIVERSARIES OUR PARISHIONERS ARE CELEBRATING THIS YEAR. In honor of World Marriage Day, at all Masses Fr. David is blessing couples who are celebrating significant anniversaries this year. Please join him in acknowledging and congratulating these parishioners who provide for all of us a wonderful example of how important and rewarding fidelity to marriage is. We welcome members of Vashon Cub Scout Pack 275 and Scout Troop 294 to celebrate Scout Sunday with us at the 10:30 am Mass this Sunday, Feb. 10. The Scouts are discussing Reverence, one of the principles of the Scout Law, attending Mass, and then serving at the coffee hour. They will be pleased to talk with you about Family Scouting.